I would be lying If I told you a betting ICO is a rare thing, actually there are many out there. And even many post-ico betting projects are available. But still, there is something that makes Betform unique; social aspects of it. This is a peer to peer gaming platform. The description on their site reminded me of Xbox Live. You can invite your friends to a table, you can join them and even making new friends is a possibility on this platform. We are in the age of social networks, so creating a betting platform with social dynamics in mind is a pretty decent idea. 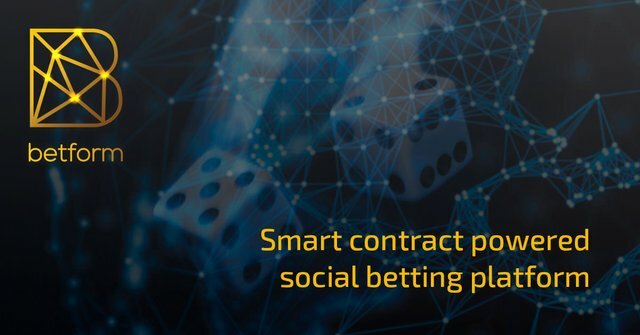 Thanks to smart contracts, the operation of Betform is transparent and secure. They say their platform is regulated by licensing jurisdiction and their PRNG is tested and certified by a reputable test lab. Social and secure are pretty positive things to say about a betting platform and Betform is likely to achieve this. Crypto Nobility is sponsored by https://www.coinbookmarkbank.com | All the useful cryptocurrency related links in one place. *Disclaimer: None of this information is intended to be financial advice. This article shows my personal opinion and I advise everyone to do their own research.